In addition to working in corporate America for fifteen years, Suzette is also an established author whose first book, Moments of Truth, gained a lot of attention as a spiritual affirmations book for everyday living. She recently released the second edition of her second book, Blues to Blessings: Moving from Fearful to Faithful, in October 2017. 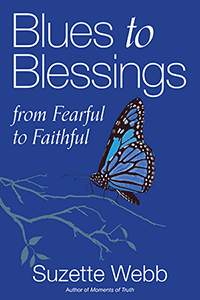 Blues to Blessings is an inspirational book that guides readers on a journey from monotony and dissatisfaction towards transformation and success. It encourages readers to reconnect with both themselves and God.